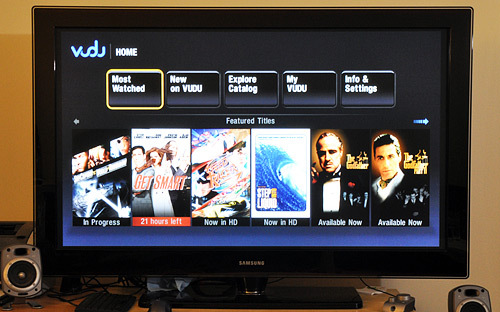 Over a year ago I first got my hands on the innovative Vudu set-top box and reviewed its movie streaming capabilities. 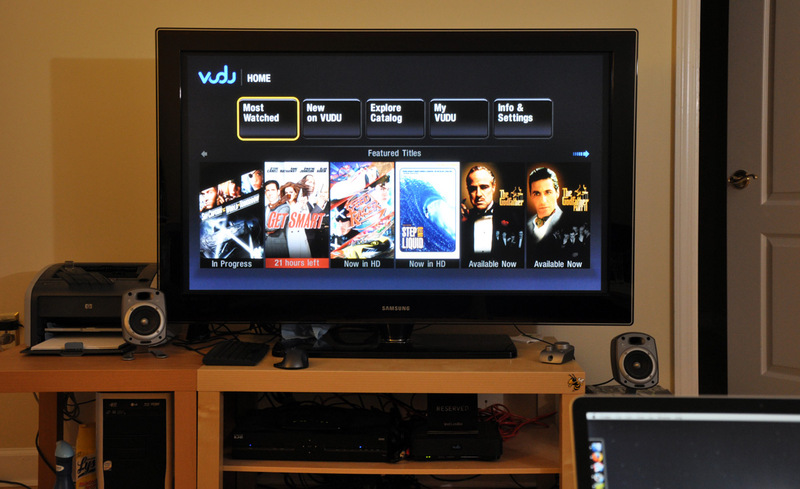 Unlike the countless gadgets and devices that I come across, I have not outgrown the Vudu box. I use it a ton. It instantly streams rental movies in HD, with the option of even higher resolution 'HDX' with a delay. Of course, the Vudu also lets me purchase movies for keeps and store them on the hard drive but I don't buy movies often as I generally don't find much value in rewatching movies unless it's a quotable classic like The Fast and The Furious. My home theater might have changed over the year but the Vudu box still remains an integral part of my setup. Why do I pay up to 5 to rent a movie when I can very easily acquire it through other means and play it on my HTPC? For one, browsing for movies to watch with the Vudu when I have guests is definitely a social experience. They can easily browse through thousands of movies, search for titles with Ryan Reynolds, titles similar to Definitely, Maybe or even just narrow it down to Action + Suspense + Comedy with their genre explorer. It can be likened to using the Sonos sound system with guests, passing the remote around, having them browse your music and change it up. From there, I can watch a preview of the movie and when satisfied with my selection, rent and start watching it immediately - most of the time in HD (depends on the title). It's all about simplified convenience. My HTPC remains reserved for movies that I want to watch in very high quality, as well as watching TV shows - both of which the Vudu isn't terribly good at due to limited (and outdated in the case of TV shows) collections. While the Vudu does have 'HDX' titles that compare to Blu-ray quality, their network doesn't seem to be up to the challenge, making people wait up to 4 hours to begin watching the movie. That's something I don't need to be doing when I'm on an 80+ megabit fiber Internet connection that can download a 50GB 1080p movie in under 90 minutes. There you have it. The Vudu box is my most prized gadget. Regardless of a few issues I have with it, it serves a great purpose. That being said, if you know a movie lover in your life and they don't yet have a Vudu box, consider hooking them up for the holidays. What is your most prized gadget? 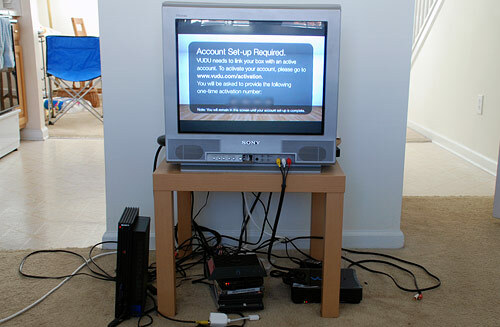 What's hooked up to your TV? Note: I have yet to try out the Roku Netflix set-top box, which is on track to receiving HD support by the end of this year. Thanks to creativehedgehog for suggesting this post on Skribit.